SYSER STORE | VCanBridge Technologies Inc. Affordable software development! Tailor made software to suit every budget! Click here free estimates. 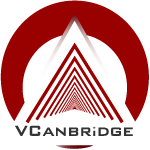 © 2017 VCanBridge Technologies Inc.. All rights reserved.